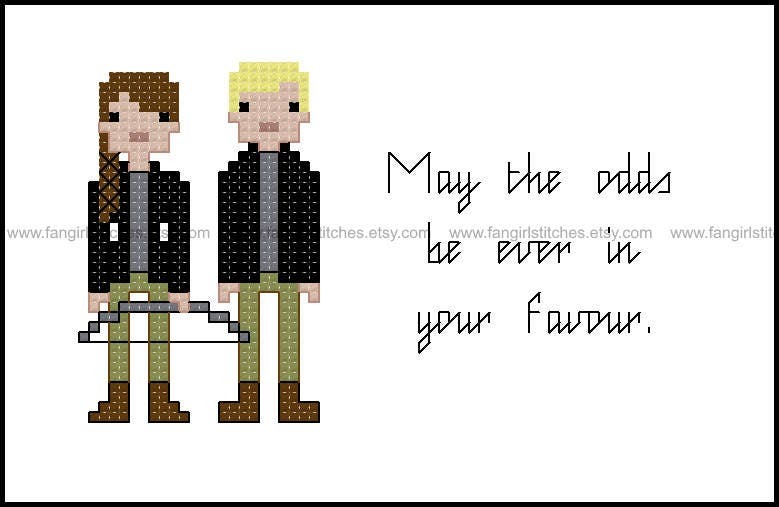 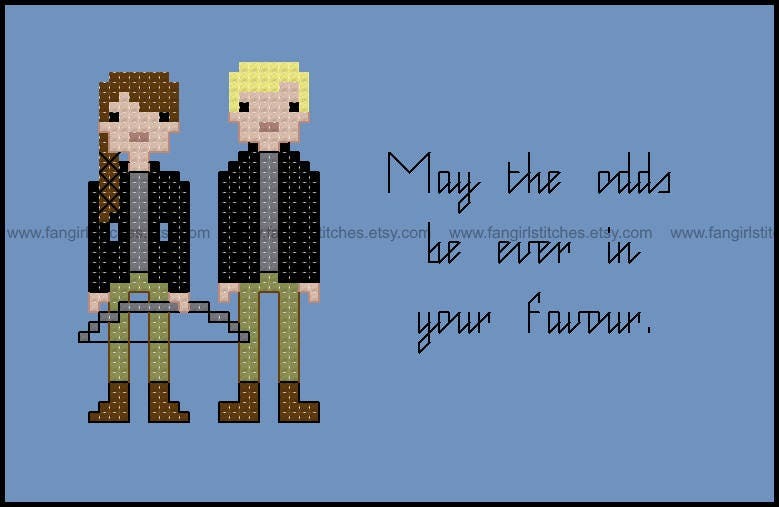 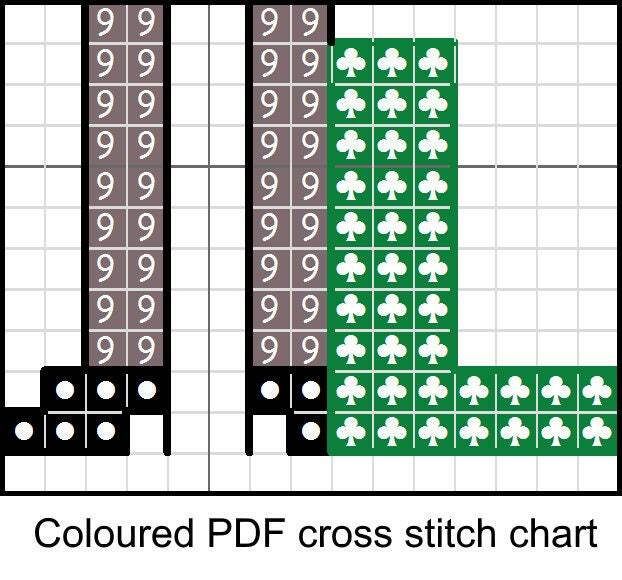 Be sure to take this cross stitch pattern with you as you venture into Panem. This is a parody (inspirational) work. 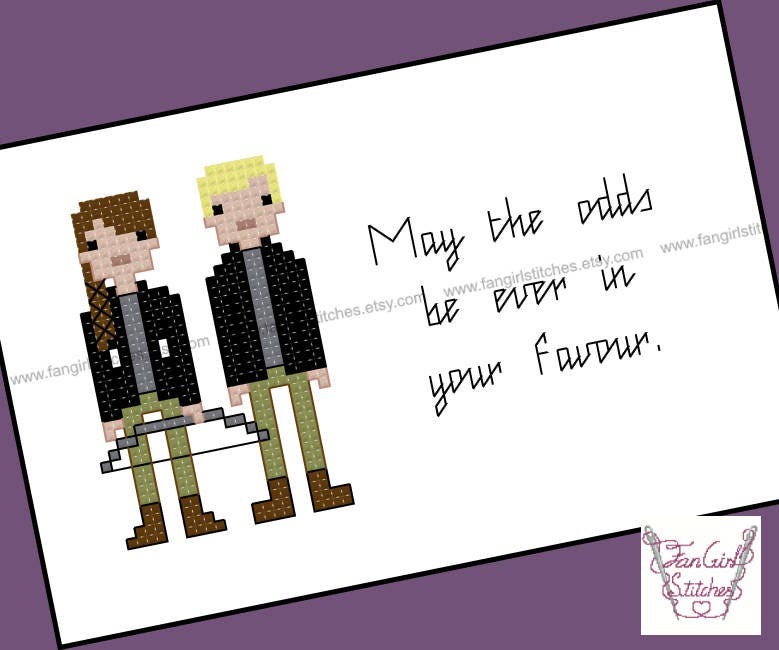 Hunger Games and its characters are copyrights and/or registered trademarks of Lionsgate Films. This production is not sponsored, endorsed by or affiliated with Lionsgate Films or any of its subsidiaries or affiliated companies and/or third party licensors.